News TV Channel / KELO-TV is a CBS-affiliated television station licensed to Sioux Falls, South Dakota, United States. It broadcasts a high-definition digital signal on VHF channel 11 (also the station's virtual channel via PSIP) from a transmitter near Rowena, South Dakota. Owned by Nexstar Media Group, KELO-TV maintains studio facilities on Phillips Avenue in downtown Sioux Falls. 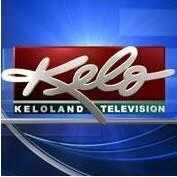 Branded as "KELOLand" since 1954, many South Dakotans pronounce its call letters as a homonym of "hello".